Kazakhstan: Will horse meat be on the table at Iran nuke talks? 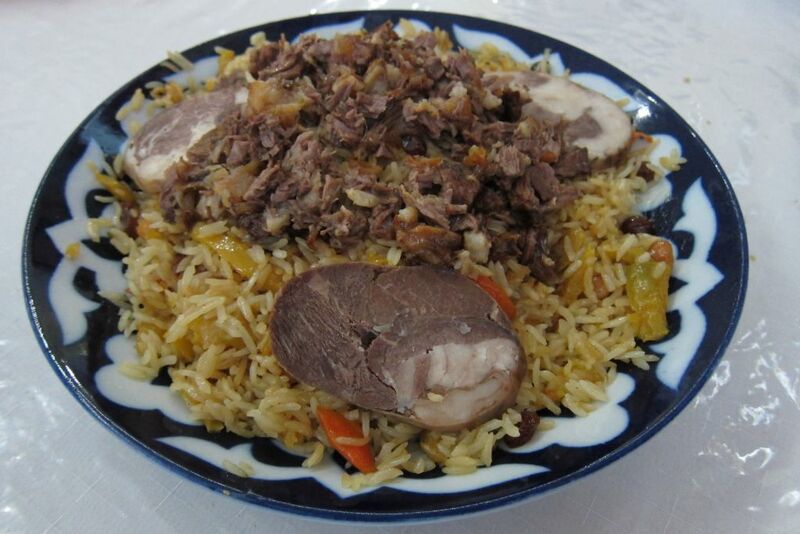 As the horse meat scandal gallops on apace in Europe, delegates arriving in Almaty for the P5 + 1 – Iran Talks might want to take a close look at what they are being served to eat. Following a quick check of outlets in Almaty, Kazaxia has discovered a wide range of products containing horse DNA openly on sale. On a frosty Wednesday morning, kazy, a smoked horse meat sausage, was widely available in shops and markets. In restaurants and cafes our correspondent was able to choose from a wide range of dishes laced with horse meat. These included besbarmak, Kazakhstan’s national dish – chunks of horse meat served with strips of pasta and washed down with a horsey broth and steaming dishes of plov, a rice-based dish sometimes adorned with slices of kazy. Kumys, fermented mares milk, is a favourite tipple that is often served with these meals. The Kazakhs pride themselves on their hospitality and it is unlikely that the delegates will be able to leave before eating their fill of horse meat. For the squeamish delegates, it is probably better to play the vegetarian card, but they will have to put up with sliced cucumber and tomato smothered in mayonnaise – the only known salad found in Kazakhstan. Staying on the horse meat theme, in neighbouring Turkmenistan mystery surrounds the disappearance of 120 prized Akhal-Teke horses from the national stables over the last two years. Could these beautiful thoroughbreds somehow have ended up in a value burger on Europe’s dining tables?